So the fall Campus Communicator Summit is now behind us and I think it was pretty well received. Todd Woodward did and Tim Straker did a great job presenting on our new positioning. I won’t be commenting on that because it is still being reworked and there will be more coming down the road. I was very interested in Phil Gomes presentation because Edelman Digital is successful and has a powerhouse of people understanding what digital is all about. Check out the Ad Age article that Gail posted. 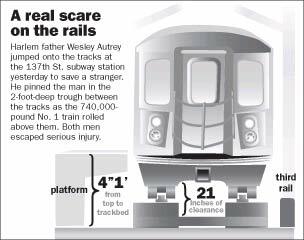 I liked the cartoon and visual analogy of the third rail. His four C’s of community networks – Content, Conversation, Collaboration, and Community were pretty standard. I speak with a lot of people about wanting these types of community and I can tell you they take a lot of work. Content is most important because you need to provide something to the community but the rest of it is trust. They need to trust you before they will begin the conversation, to even think about collaborating with you, and then it becomes a community. Do you think our Notre Dame Campus Communicators is a community? I would like to think it is becoming that but it’s hard to know. Todd worries that it is just me putting up a lot of content but not many people respond. I would say that most people read but don’t respond. If you think we should keep the community going, then send Todd an email. The next thing that Phil talked about was Promotion, Protection, Presence and Participation for the brand. Now there was some great stuff with this. I really liked his comment and graphic about how companies will value buzz over consistency. This is unfortunate and I wonder if it is because the buzz can be measured more effectively than the constant line. He had another great comment on how a blog is worthless unless you are communicating with the community. His example of a corporate blog being a corporate blog – no engagement, posting press releases and speaking engagements – then turning into a conversation through talking about Google Trends and controversial dialogue. It was great to see the jump. I’m sure there was more to that, though. There’s a lot to do once you write a blog post. You need to do some outreach with it. Use Pingomatic to get the search engines to pick up the blog. Use digg.com and technorati to place the blog in the blogosphere of content aggregation. Use News sites that allow you to post content like CNN. Use the comment sections on other influential bloggers to let them know that you have content as well. Don’t comment spam. His talk on SEO being everyone’s job was great. It’s tough for people to understand sometimes that you don’t need to be an SEO expert to do SEO. You just need to understand the basics. Carol Schaal stopped me after the summit to ask me how to do some of the things Phil talked about. It took me about 15 minutes to show her, Kerry, and John at ND magazine, what I was talking about. We’ll be doing a series in the future on these topics like SEO, Search Marketing, Social Media, etc… We’re even bringing in outside experts. My big thing with Phil’s talk was that the Agency speaks the same language that Edelman Digital does. He basically verified for me that we know how to do it right – we just need to educate everyone on how to do it. And I can’t wait to get started.